I know I am truly fortunate to have health insurance that includes prescription drug coverage in this day and age. Not everyone is so lucky. But that's not the subject of this post. The process of using my insurance today to refill a prescription was stressful enough to make anyone sick. But let me discuss the sucky process calmly, instead of going into my usual diatribe. 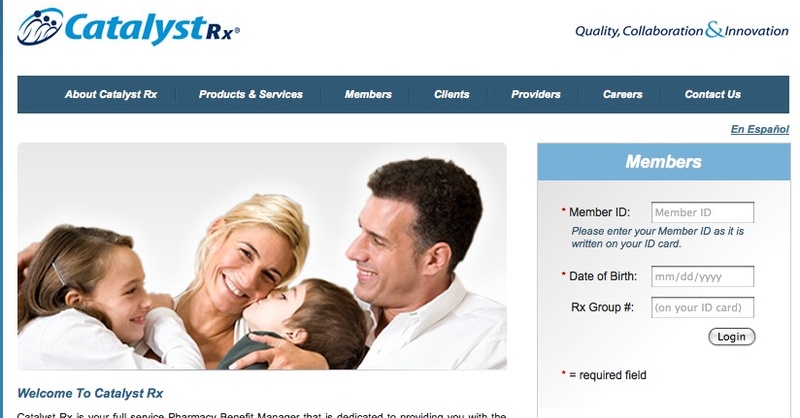 Catalyst is the company that won Ford Motor Company's prescription management away from Medco. The overall manager of the health benefit is Blue Cross (if any of my friends from BCBSM read this, make a note). Medco had fairly good processes for managing prescriptions and ordering online. My first experience with Catalyst was when the transition from Medco had just taken place and I had not received the information about the change (confession: I might have put it into the "to read when I get a chance" slush pile. The Medco website wasn't working. I eventually called Medco's customer service and they sent me to Catalyst's customer service representatives. I got all sorts of conflicting instructions for changing over and using the Catalyst website. It was weirdly cumbersome but like a bad dream, I've repressed most of the memory. Today I attempted to refill a prescription that I had almost run out of. Medco used to send me e-mails. I went to the website. It wanted me to use my member ID, birth date, and Rx group number. Of course, my card was in my wallet, which was in another room. OK, got it. Several times I tried to login by filling in the member and group ID information and each time it failed. Error messages said to put in the right information from my card. Ummm, that's what I was doing. Either the terminology on the card was not the same as the website, or it was tied to some card other than my Blue Cross card. Don't ask me, I DID replace my old Blue Cross card with the new one I received last December. The letter I got said that the same card worked for prescriptions and medical services. Why couldn't the website let me create a username and password when I registered last time. I might have remembered it. I attempted to call the 800 number from the "contact us" page on the website to order by phone. Well, it's not the right 800 number. Automation lady referred me to a different 800 number, but I wasn't ready to write it down. Did she repeat it? What do you think? The refill customer service option should be right there on the website, wouldn't you say? How hard would that be? I found the phone number and automation lady #2 took over. I had 3 prescriptions to refill. (I only planned to do one, but decided I'd better get more in if I had the chance. All this time I was carrying the phone up and down stairs to get med containers and so on.) The third Rx number would not go through. Automation lady transferred me. I then talked to a very nice person named Amy. She had to start all over with the three prescriptions. I told her what I thought of my experience so far, but of course it wasn't her fault, which I told her. I knew she couldn't do anything about it. In addition, all three meds were at their last refill. The third had actually expired, meaning I have to call the doctor soon. Medco always gave me the option of having them fax the refill requests directly to my doctors. Amy said Catalyst couldn't do that. She gave me the doctor's fax number -- I said I'd just find it in my printed information but she wasn't too confident that I'd find it. If there is a plus side, it is that each action in response to a process failure kicked in as probably designed, and I experienced every one of them. That is, unless something goes wrong with actually filling and shipping the prescription. Unfortunately for them, the general email addresses for Catalyst customer service, sales and marketing, and webmaster WERE on that website's "contact us" page, so they got a message from me much like this post. 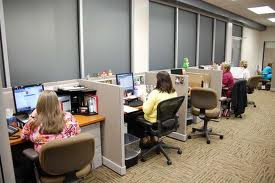 I told them, "Each of your departments should feel totally embarrassed to be working for a company with such poor processes. You can send me your apologies, which would be gracious, but won't fix any root causes. If you really cared, you would look into joining the American Society for Quality (ASQ) or some such organization and learn a thing or two. I will let the Ford Retiree Benefits people know that I think they made a REALLY BIG MISTAKE selecting your company to administer our prescription benefits." I figured no use in mentioning lean or six sigma, if they were as clueless as they seemed. I also mentioned that I would tell you, faithful readers, about their poor quality. I find myself feeling completely entitled to perfect service, which is the symptom of a growing malady that might be called "lean fever." Is there a medication for that? Ahhhhh! I hate all that prescription by mail. Today I had to go fill a pain medicine for my daughter. She is in tears right there at the store from the pain. We went right from the doctor or it would have taken 30 minutes longer. First, the doctor wrote the script for a strength that doesn't even exist. So the pharmacy called the office and got it fixed. Then the store didn't have the medicine but they had one very close, but they had to call the doctor again and get it approved. It was just too crazy. It just doesn't have to be that hard. The right medicine for that is finding well run companies to work with :-) Amazon would probably do this well. They did buy drugstore.com many years ago I think. Actually it is curious that such an effort isn't doing better. It's our health insurance that determines that for any medication you take all the time - a "maintenance" med, you have to use the mail order pharmacy that they pick. If you're sick, or trying something new, you can go to the retail pharmacy. An Amazon run service would be great, they should definitely go after this market. You just need a bunch of pharmacists to dispense the drugs. And why don't pharmaceutical manufacturers prepackage more meds in 30-dose sealed packages? You could assemble a combination for almost any order without having to count and account for individual pills. My guess is Ford switched because the new place submitted a lower bid. Which challenges MEDCO...could they have not improved their already good processes to make money at a still lower price? If we put our Lean money where our Lean mouths are, that would be a move to prevent this hassle.